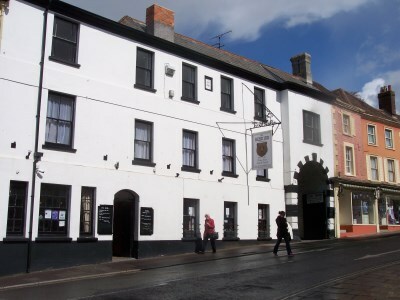 SOLD by Leading National Licensed Property Agent Guy Simmonds: The Bear Inn, Wincanton, Somerset. In the bustling racing town of Wincanton, the new, private FOT lease of this historic, former coaching inn has been sold off an asking price of £50,000 by agent Guy Simmonds. This centrally sited, extensive, 3-level property boasts main bar, games and pool areas, skittle alley and function room. There are seven nicely appointed guest rooms and a large meeting room. Owners enjoy exceptional, all new, 4-bedroomed accommodation. Externally a shelter, decked area, private garden and car park. Sales of £341,000 are mainly wet but new lessees Zoe and Mathew Garvin plan a stronger emphasis on catering, functions and letting content. Looking to sell your Pub, sell your Hotel, sell your Restaurant, sell your Business etc. ?